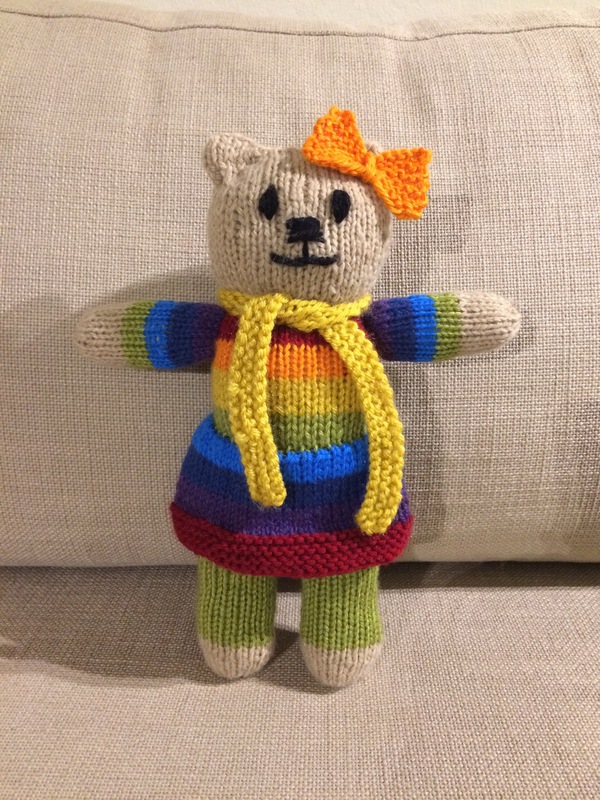 Last night I finished a bear! This is Grayle, another one named for a character from Dr. Who. I like the kind of retro vibe that the pea green gives to the rainbow color scheme.